We created this website and one other for a design agency in Ireland. This particular one turned out well enough to show in my portfolio. The other one… Let’s just say the agency choose a very odd color scheme and it’s not suited for something in my portfolio. 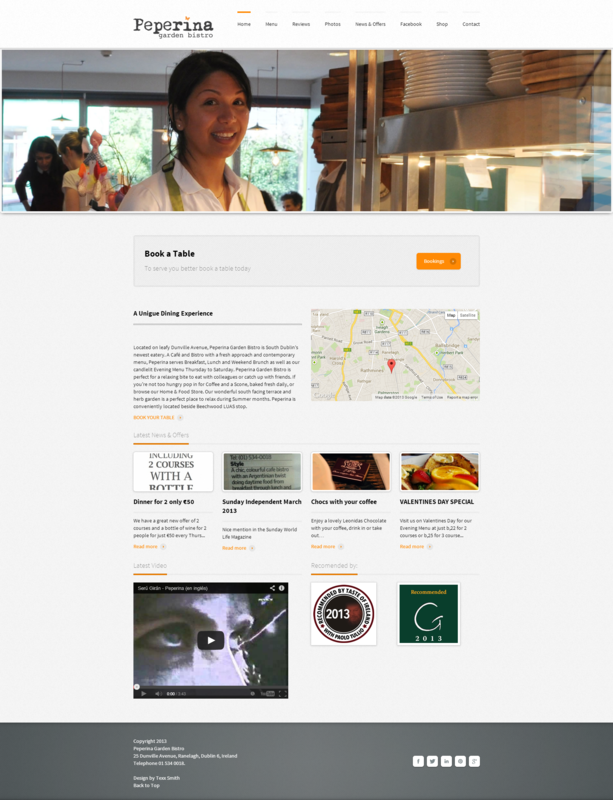 The restaurant wanted a website that reflected their atmosphere. A bright cheery day time eatery in Dublin Ireland. 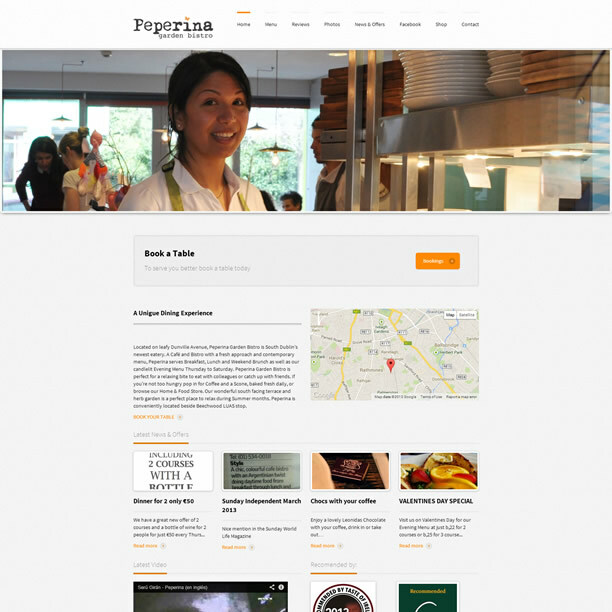 I created them a website in their chosen color scheme that based on the clients input and the design of their restaurant. I added high quality Google maps, awesome photos of their food and a high quality, full screen slider with pictures of their beautiful staff, environment and food. A method of design that uses one super layout that flexes, resizes and reshapes itself to fir in a beautiful way on any size device. It even generates different sizes of the images so that mobile users don’t have to download desktop sized images. This is much more graceful and cost effective than the old method of creating different layout for different sized devices. Let a user with no experience drag and drop components like maps, slide shows, images blog posts twitter feeds etc into whatever position they want on any page. Unlike others, the user has a choice to use this page builder on whatever pages they want and just use the traditional WordPress tools on the others. Short Codes help users with no web design skill to easy build things make this “tabbed box” for instance. Bootstrap is Twitter’s collection of scripts for making devices work on any device. Large collection of built in icons that are easily added to any of the drag and drop components mentioned earlier. WordPress comes with one widgetized sidebar. Meaning you can drag and drop components into it. It only comes with one though and that means that every page on the website, including the home page will have the same sidebar. Not so practical. We built into the interface a way to create an unlimited amount of sidebars and the ability to place a different one on each page page if desired. We didn’t stop there! The sidebar can be on the left on one page, the right on another or not appear at all on yet another page. Just too much extra stuff to mention here!